What is NTA? How Can it be Useful for Medical and Engineering Aspirants? 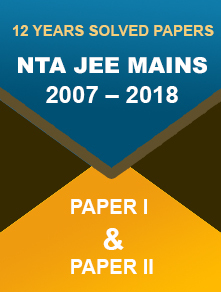 NTA (National Testing Agency) is a kind of statutory body, which has been approved by Union Cabinet for conducting entrance examinations of JEE, NEET, CTET, UGC NET, etc. As a result, medical and engineering aspirants will get a sigh of relief. Apart from this, educational bodies such as AICTE and CBSE will be freed from the responsibilities of conducting these entrance examinations. With its infrastructure, systematic planning and competent staff, NTA will be working independently without seeking the intervention of any governing body. As of late, it was perceived that there was tremendous academic pressure on medical and engineering students. 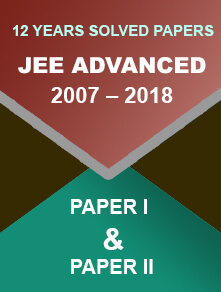 The educational bodies used to conduct JEE and NEET entrance examinations only once a year. Following this, students had to work very hard academically to qualify for their entrance examinations in one go. In the event of their failure, they would wait for one more year to take their entrance examination. This condition resulted in the wastage of their time. Apart from this, the educational bodies were not able to cope with the ever-increasing aspirants of medical and engineering. Sometimes, this resulted in discrepancies and malpractices. Taking these aspects into consideration, the government decided to set up an autonomous body for conducting the entrance examinations. At present, the government has allocated ₹ 25 crores for its operation in the first year. From second year onwards, it will be independent and self-sustainable. How will NTA discharge its roles and responsibilities? The NTA will function as an autonomous body. It will have a board of governors, who will discharge their duties honestly and diligently. It is registered under the Indian Societies Registration Act, 1860. It will be conducting various entrance examinations twice a year. This move taken by NTA will benefit medical and engineering aspirants tremendously. Moreover, there would be negligible wastage of vacant seats, which used to remain vacant due to system flaws. The entrance examinations will be organised online in a systematic manner to avoid any malpractices and discrepancies. Students will no longer stay under pressure to take their entrance examination soon after appearing in their board examinations. It can cater to about 40 lakh students in various entrance examinations. 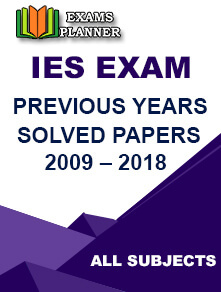 It will maintain strict discipline and avoid discrepancies that arise in various sets of question papers. With the lesser burden of responsibility, the educational bodies would get sufficient time to lay focus on the quality of education. They will be able to introduce the relevant topics that hold great importance for students and remove unnecessary stuff that bother students. Consequently, students will be in a better position to cope with their academic pressure and ace their entrance examinations. Conduction of entrance examination twice a year by NTA would help students to systematise their studies and give them a chance to try their luck again without wasting a year. It is a general perception that all students are not brilliant. The entrance examinations of medical, engineering and various other competitive exams are tough. Even they are getting tougher day by day due to a massive influx of students. Gone are the days, when only extraordinary and rich students aimed to become great professionals, such as doctors and engineers. Now, the trend has changed completely. Even those, who are mediocre, also aim to crack the entrance examinations with excellent preparation. With the formation of NTA, the educational system will change as explained above. As a result, all types of students whether brilliant or mediocre will be benefitted. They will no longer feel harassed and disheartened due to the improper syllabus of their studies and wastage of time. How will the current scenario get a facelift? Every year, numerous students take various entrance examinations with the expectation of getting through them. As explained above, there are various types of students; only brilliant can crack it one go and rest wait for another attempt. Not getting through in very first attempt is a source of depression for students. It is wastage of their precious time and hard-earned money from their parents. The medical and engineering entrance examinations are organised in April and May months, which come after the 12th board examinations. When the entrance examinations are held twice a year, students will get much relief. They will be able to take their entrance examinations easily and confidently. Those, who are not able to qualify for the entrance examination in the first attempt, can go for another attempt without wasting a year. Earlier, students used to remain disappointed due to wastage of time. With NTA, the scenario that had been plaguing the educational system will undoubtedly get a facelift and students will be on cloud nine. The NTA is a huge governing body, which will prove very useful for the aspirants of various competitive examinations. With its functioning, their educational system will undergo a change and students will be in better position. Since it will be conducting the entrance examinations twice a year, more often than not medical and engineering aspirants will get lots of advantages. 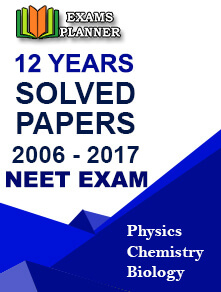 After taking their 12th board examinations, they will not have to take the entrance examinations of medical and engineering conducted by CBSE and other educational bodies soon after. They will get sufficient time to relax and have better quality preparation for their entrance examination. If they are not able to crack their entrance examinations in their first attempt, they can wait for another attempt just within a year.